This is an example of how Invoices get created. 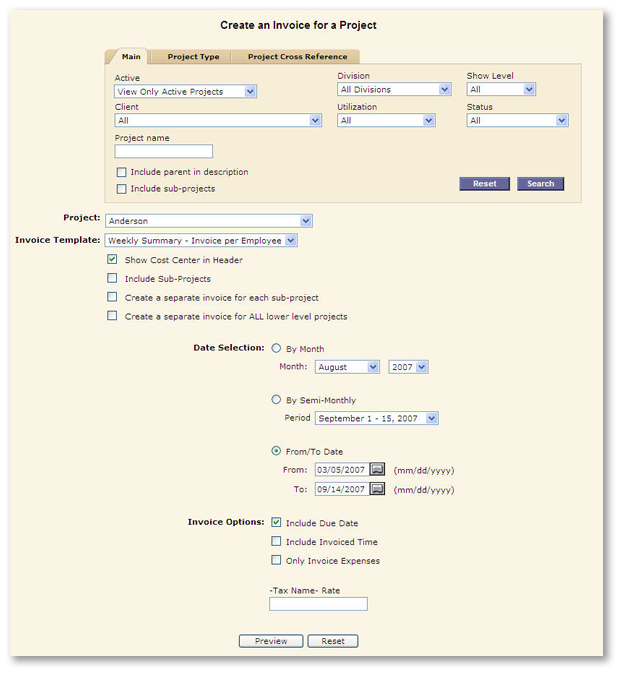 There are multiple levels of customization available in our invoicing features. We can even import your invoice template or logo into TimeConsultant.